Here are two lovely challot shots from friends of mine. 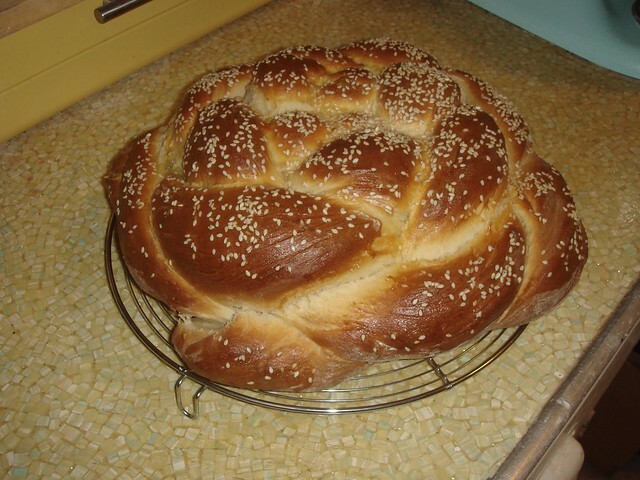 The first is from my friend Lea, my Episcopalian twin, who was inspired by all the talk of challah on facebook. Lovely, no? 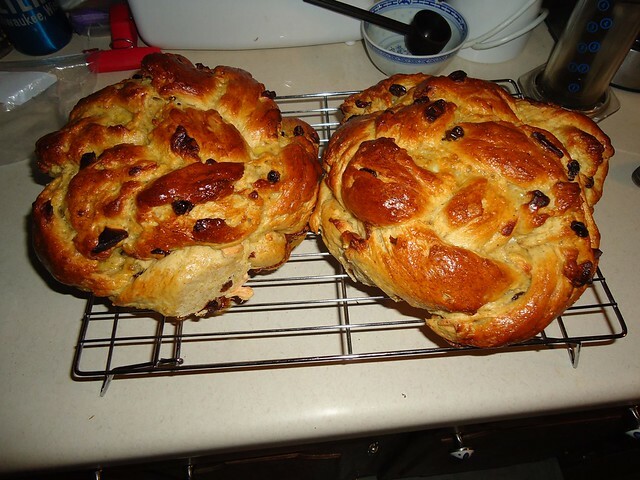 The second is a pair of Citrus, Honey, Apple, Raisin Challah from my professor, Gillian. She wrote out the recipe on facebook, so I'll share it with you as soon as I have permission. 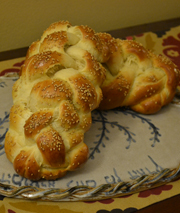 Did YOU make any special challot for Rosh HaShanah?